Get a free, no-obligation financial and retirement review to discuss if you are on track for financial success. At the same time, we will find out if Noyes Capital can be of help to you. We believe that the concept of “retirement” is an unnatural and outdated invention of the industrial age. Artificial age-based finish lines are yesterday’s thinking! We believe that as you get older and have achieved success, you have earned the right to choose how you apply your life learned skills in your work/life balance. So while we fall under the category of Retirement Planners, we really consider ourselves to be much more than that. Instead of simply trying to help you achieve a good Return on Investment, we strive to help you maximize your Return on Life. Refuse to be defined by age. Look for purposeful engagement that is right for you. Use your own vision to determine your new options. Make choices regarding your work/life balance. Find strategies for successful aging. We believe your Return on Life is more important than your Return on Investments. As you approach retirement, the goal is to have the best life possible with the money you have. We believe that you should work as long as you choose, stay socially engaged, strive to stay healthy, have money for extras and, when the time comes, retire on purpose. We review your resource (money and time) allocations in a way that helps you get the best Return on Life. We strive to bring fiscal order to your life and help you make prudent financial decisions. We provide big picture assessments of your investments, policies, loans and financial agreements. We provide detailed assessments of your cash-flows and budgets. We work with you to proactively anticipate your life transitions and be financially prepared for them. We’ve helped many clients with all of these concerns. If there’s anything we can’t help with, such as legal work like setting up trusts or formalizing your estate plan, we are happy to work with your professionals. Or we can recommend vetted, trusted professionals that we work with on a regular basis. Does Your Advisor Understand New Retirement Realities? Along with changing attitudes, longevity is increasing. All these factors require more careful planning and investment, not less. Many young advisors will struggle to relate to your experiences and concerns as they are focused on your money not your life. At Noyes Capital, we help coach you through your own retirement. Money is only part of the equation. Analyzing your career and life choices can help you create a retirement that works for you. Choose when, where and how to retire on purpose. We believe your Return on Life is more important than your Return on Investments. As you approach retirement, the goal is to have the best life possible with the money you have. Noyes Capital Management is a wealth management firm based in New Vernon, New Jersey, serving individual investors across New Jersey, New York, Florida and the entire East Coast. We help successful individuals and couples plan for and maximize their retirement success. Our in house investment management and financial planning team helps you preserve and grow your assets while optimizing all aspects of your financial life. 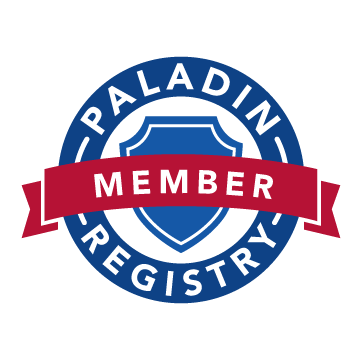 Advisors and firms must meet Paladin’s rigorous admittance requirements to qualify for membership in the Registry.